With very little attempt to stay hidden, you can now find Mickey Mouse at W Kuala Lumpur. Everyone’s favourite mouse turned 90 last November (fun fact: Mickey’s birthday is on the 18th) and it looks like the birthday celebrations aren’t slowing down. Our very own Bernard Chandran paid homage to Mickey by giving him a makeover depicting Chandran’s on imagination of himself at 90. The feathered jacket, sunglasses-wearing grunge Mickey Mouse was on display earlier this year at Pavilion Kuala Lumpur. 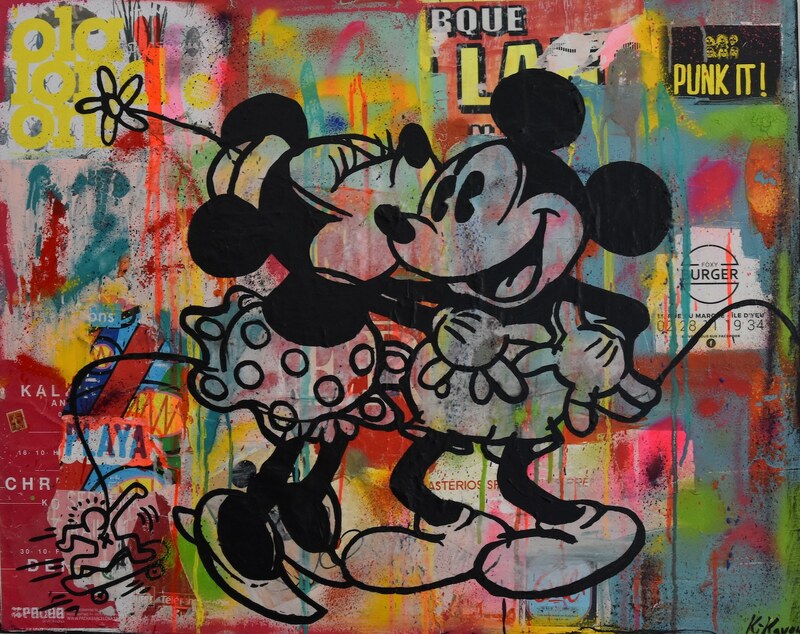 Still on a stylish note, Kuala Lumpur-based French art gallery, Gallery des Artistes have curated a selection of Mickey Mouse-inspired artwork that’s now on show at the hotel. Edith Ho and her husband Edwin Ho are the two names behind the gallery, located in Tropicana Golf & Country Resort. 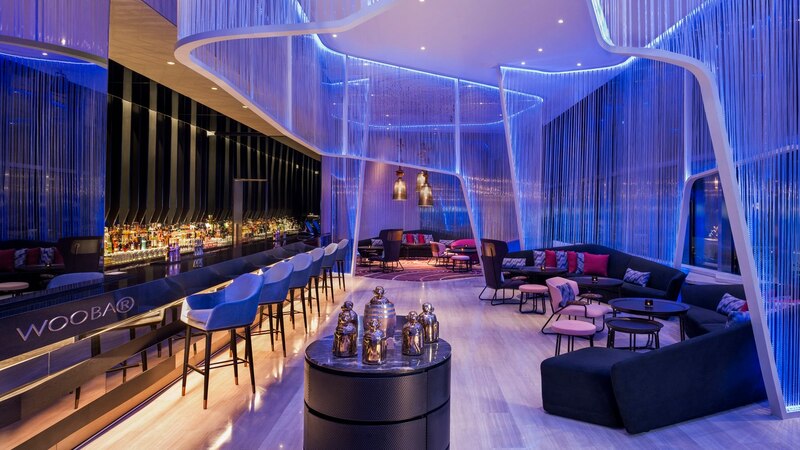 With an impeccable eye for French contemporary art, the duo have picked works by two talented artists to be displayed at W Kuala Lumpur’s Woobar on Level 8. 11 pieces of art deck the walls, each more amusing to the eye than the last. The two artists are Alain Vaissiere and Kikayou, both hailing from the south of France. 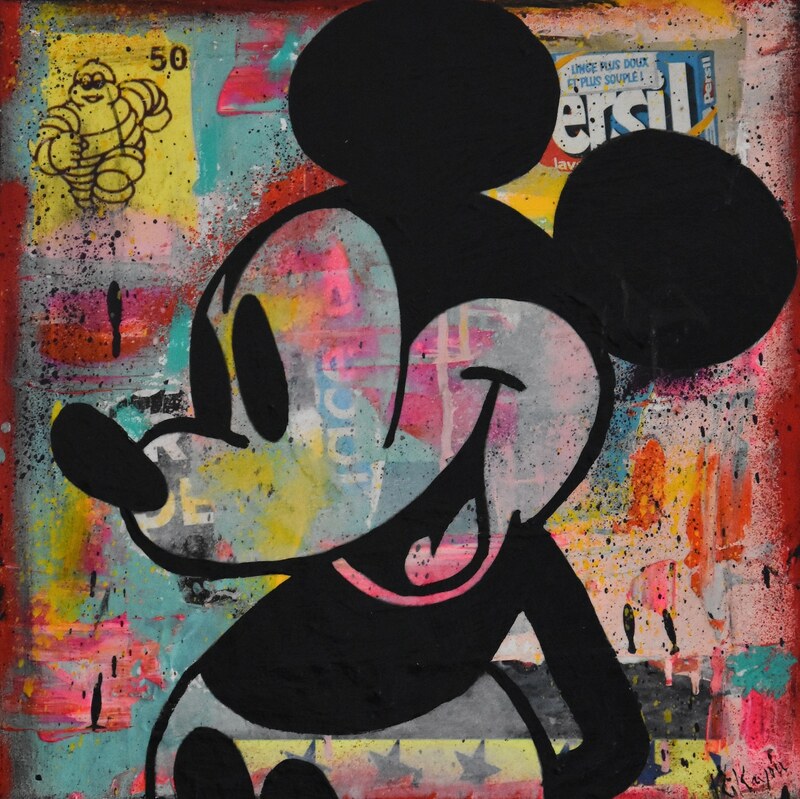 As a whole, the curated collection emphasises colour, fun and vibrancy — all traits Mickey himself exudes. 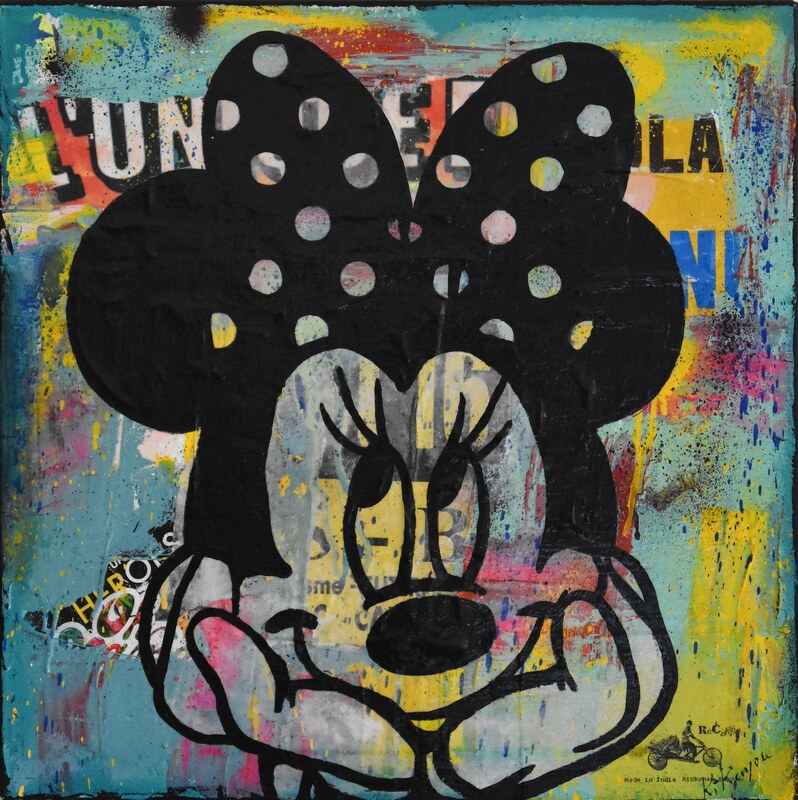 These works are made out of 3-dimensional lenticular networks, layered collages and washed art pieces. With Vaissiere’s art, he employs a very unique and difficult art technique known as lenticular or 3D art, seen in his pieces that embody joy and lightness. 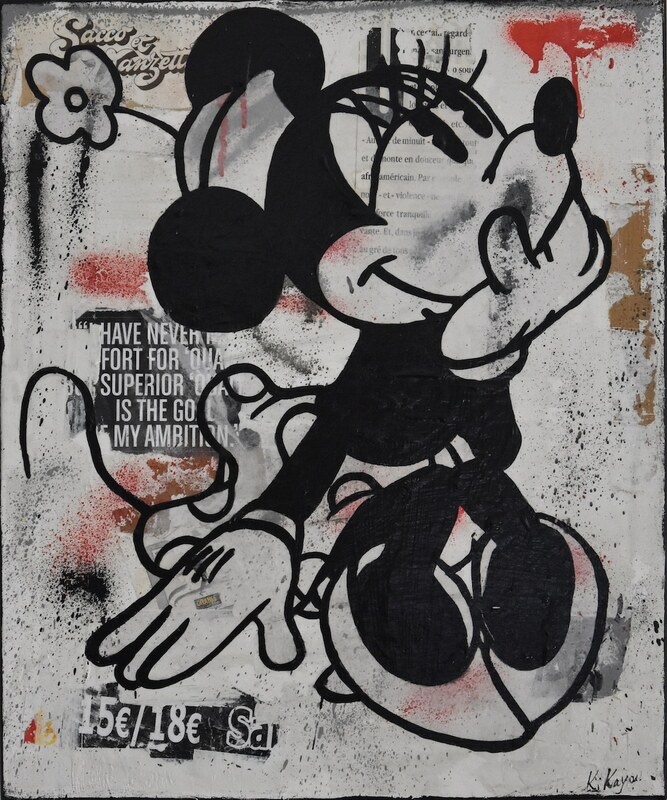 Kikayou as well, is known for his attention-grabbing pop art in the form of luminaries, collage and canvases done with spray paint and stencils. 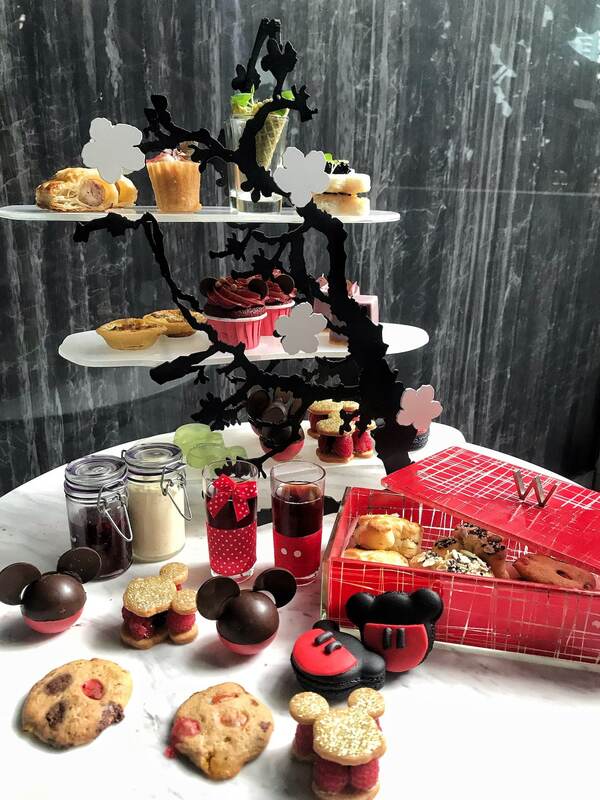 If perusing art works up quite an appetite for you, have a seat and tuck into the Mickey-inspired hi-tea set; another little celebration the hotel is throwing for Mickey’s birthday. 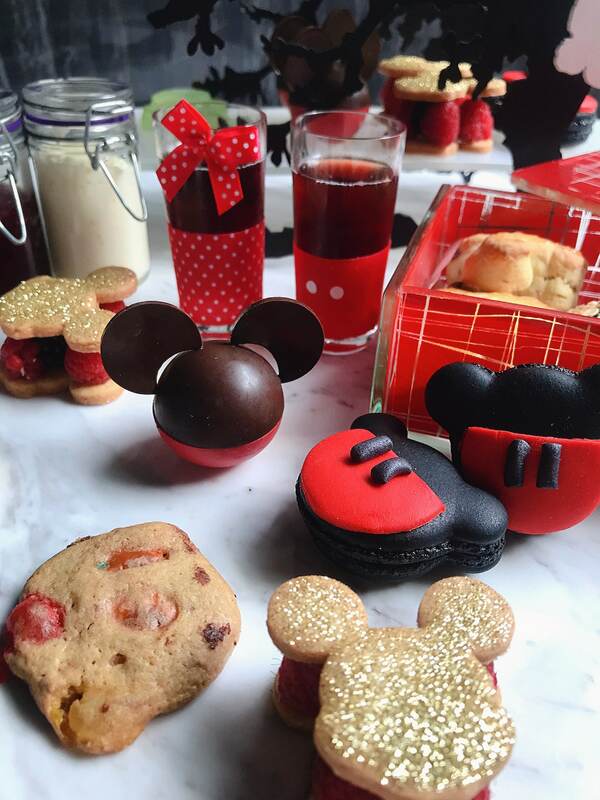 Naturally, the hi-tea set dishes up Mickey-inspired treats both savoury and sweet, like chocolate-shaped Mickeys and red icing for his pants, to sugar-coated and sparkly sweets. The artwork will be showcased from 14 March 2019 till 14th April 2019. The Mickey hi-set is available during the same period and is priced at RM168+ for two pax on weekdays and RM188+ for two pax on weekends from 3-5pm at Woobar, W Kuala Lumpur.